QIAGEN N.V. (NASDAQ: QGEN; Frankfurt Prime Standard: QIA) and the International Commission on Missing Persons (ICMP) have announced collaboration on a project to enhance ICMP’s ability to identify missing persons using next-generation sequencing (NGS) technologies. QIAGEN and ICMP will work together at the ICMP’s laboratory in The Hague to develop and validate a complete NGS solution, including QIAGEN’s “Sample to Insight” GeneReader NGS System* and other QIAGEN workflow solutions, as well as innovative forensic panels designed for identification of missing persons using single nucleotide polymorphisms (SNPs). The joint efforts integrate QIAGEN’s “Sample to Insight” integrated GeneReader NGS workflow with ICMP’s on-going efforts to advance the science of human identification through a consultative process that includes the world’s leading forensic geneticists. In the collaboration, QIAGEN will develop new human ID panels suitable for NGS analysis. Most forensic analysis focuses on short tandem repeats (STRs) containing many alleles, or variations in DNA sequence length, to make identifications. The new panels will be able to detect smaller genetic variations in single base pairs, known as single nucleotide polymorphisms (SNPs). Analysis of SNPs makes identification of individuals possible with minuscule amounts of biological material, as well as with DNA that is degraded through age or decomposition. 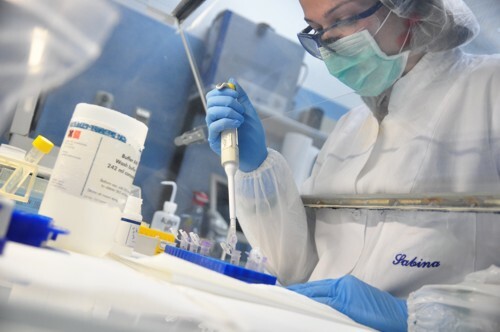 Integrating QIAGEN’s NGS workflow for the ICMP laboratory in The Hague will be the world’s first NGS workflow to aid ICMP’s mission of locating and identifying missing persons around the world. The automated Sample to Insight workflow will include QIAGEN solutions for sample and library preparation, target enrichment of SNPs, sequencing, analysis and interpretation. The GeneReader NGS System, optimized for human ID, will deliver high-speed, often simultaneous and random access, continuous loaded sequencing of multiple samples. QIAGEN bioinformatics solutions will enable analysis and interpretation to deliver specific, actionable insights. The full NGS workflow will provide a standing NGS capacity for ICMP’s response to missing persons crises and mass disasters. *GeneReader NGS System is currently available for sale only outside the United States. QIAGEN N.V., a Netherlands-based holding company, is the leading global provider of Sample to Insight solutions that enable customers to gain valuable molecular insights from samples containing the building blocks of life. Our sample technologies isolate and process DNA, RNA and proteins from blood, tissue and other materials. Assay technologies make these biomolecules visible and ready for analysis. Bioinformatics software and knowledge bases interpret data to report relevant, actionable insights. Automation solutions tie these together in seamless and cost-effective workflows. QIAGEN provides solutions to more than 500,000 customers around the world in Molecular Diagnostics (human healthcare), Applied Testing (forensics, veterinary testing and food safety), Pharma (pharma and biotech companies) and Academia (life sciences research). As of March 31, 2016, QIAGEN employed approximately 4,600 people in over 35 locations worldwide. Further information can be found at http://www.QIAGEN.com. ICMP was created at the 1996 G-7 Summit to address the issue of persons missing as a consequence of the conflicts in the Western Balkans. Starting in 2004, it began working globally. In 2014, the Netherlands, the United Kingdom, Belgium, Sweden and Luxembourg signed an international agreement establishing ICMP as an intergovernmental organization with headquarters in The Hague to respond to the global challenge of missing persons. 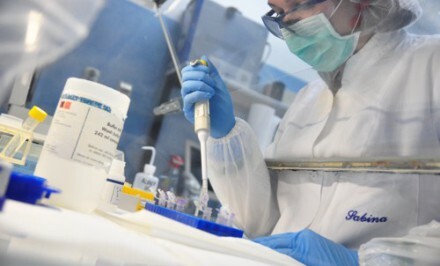 As part of its programs, ICMP’s specialized DNA laboratory provides a global resource for high-throughput standing capacity in DNA testing and family matching of missing persons from any context. ICMP’s programs are designed to meet the global challenge of missing persons in a dynamic, cost effective and innovative manner. They build upon ICMP’s successes over the last 20 years and carry forward the knowledge base of ICMP’s experience in working in over 40 countries on the broad range of circumstances in which persons go missing – from conflict to disasters to forced migration. ICMP also supports the development of legislative and administrative measures to address the issue of missing persons, works to secure the participation of civil society, and provides a range of technical and data systems solutions to address the problem of missing and disappeared persons, which has intensified in the course of the last two decades with climate change and environmental degradation leading to more and more frequent natural disaster, as well as mass migration, political instability and human rights abuses.